When you were a kid, you were probably told that eating raw cookie dough put you at risk of salmonella poisoning. The culprit was assumed to be raw eggs, which can in fact contain the salmonella bacteria. But that isn’t the only raw material in cookie dough. Wheat flour is also, despite being processed, a raw ingredient—and, as a recent recall from Pillsbury shows, it carries the same risk. On March 12, Hometown Food Inc, the parent company of Pillsbury, posted a recall notice on its website for five-pound bags of Pillsbury unbleached all-purpose flour. Random testing, says Hometown Food Inc, turned up salmonella in one bag, and so the company is recalling over 12,000 cases of flour, each of which contains eight bags, for a total of nearly 100,000 bags of flour. Most of this flour was sold to grocery stores in the American Southeast, including Publix and Winn-Dixie. This isn’t nearly the first time flour has been implicated in contamination cases. Back in 2016, General Mills issued a recall for millions of pounds of flour due to a possible E. coli contamination. The real danger here is that it can be difficult to figure out where the flour will end up. In that 2016 case, recalls were issued not just for bags of flour but also for brownie mixes, pancake mixes, and even various premade products you wouldn’t think would be at risk, like Buffalo chicken spring rolls, frozen pizzas, and breakfast sandwiches. 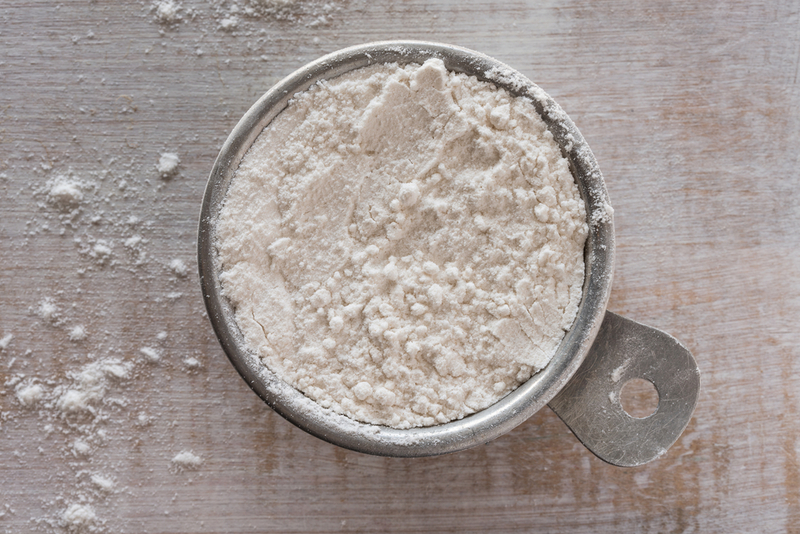 Hometown Food told Food Safety News that mixes were not affected, because the mixes “are made at a different facility from our flour,” though the company did not specify whether flour from the affected facility might end up in mixes produced at another facility. The company also did not provide the FDA with the appropriate paperwork for the FDA to publish the recall—which is voluntary and led by the company—on its website for several days. In part, this is sort of a bureaucratic problem—Hometown Food Inc sent the FDA something, just not the right thing—but an opinion piece at Food Safety News doubts that Pillsbury officials would screw up the process of communicating with the FDA. In the meantime, both the FDA and Hometown Food notes that flour, until it’s cooked, is still a raw material that can contain contaminants. Pancake batter, bread dough, cookie dough—that’s all still raw, and eating it could come with the risk of food-borne illness. And not just from raw eggs.